Mobile Internet Devices popularly known as Tablets which are the perfect platforms for fulfilling your advanced connectivity needs. Pantel Technologies, the smart tablet manufacturer in India recently introduced another feature tablet named T-Pad WS802C 2G. Here Pantel T-Pad WS802C 2G runs Google’s Android 4.0.3 Ice Cream Sandwich operating system and powered by a 1.2 GHz Cortex A8 single core processor with inbuilt Mali 400 3D Hardware Acceleration GPU. The tablet has a brilliant 8 inches TFT LCD Capacitive multi touch screen with 16M Colors and 800 x 600 pixels resolution. 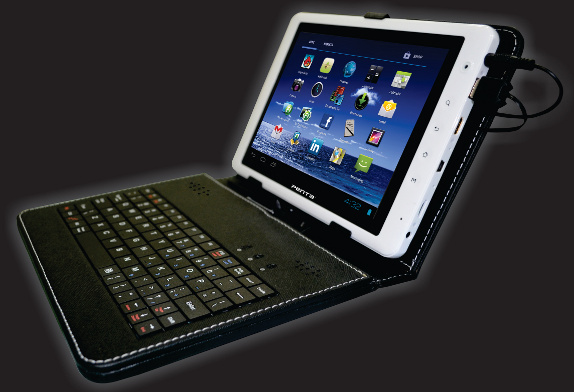 Pantel T-Pad WS802C 2G enables decent memory options like 1 GB DDR3 RAM, 8 GB internal memory and 32 GB expandable memory. The 2G Tablet also supports advanced 3G connectivity through a dongle and Wi-Fi. There are 0.3 MP VGA front camera and microphone for video calling. The tab is capable for playing videos in HD quality. You can connect HD videos on your HDTV via HDMI connectivity cable. The pantel WS802C-2G tablet is powered by a standard 5000 mAh Li-Ion battery which provides sufficient power for multimedia needs without any delay. The Company offers an attractive sale offer that free 4GB of Data for 2 months on BSNL SIM. Voice calling function also enables the device.